This Spinach Salad may be prepared before the serving, but the dressing for this Spinach Salad with Strawberries may be prepared few hours before serving. 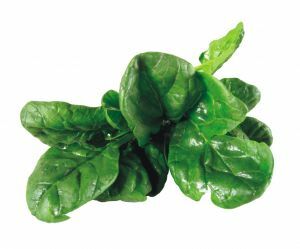 Take a large salad bowl and sprinkle sesame seeds of spinach in the bowl. Add some strawberries to the salad. After you have done this, combine the dressing ingredients provided below and shake well in a screw-top jar and chill. This is a very simple Spinach Salad to prepare with Strawberries. After you have prepared the dressing pour chilled dressing over the mixture of spinach salad and strawberry in bowl and toss to distribute well. Enjoy this Spinach Salad on your table.